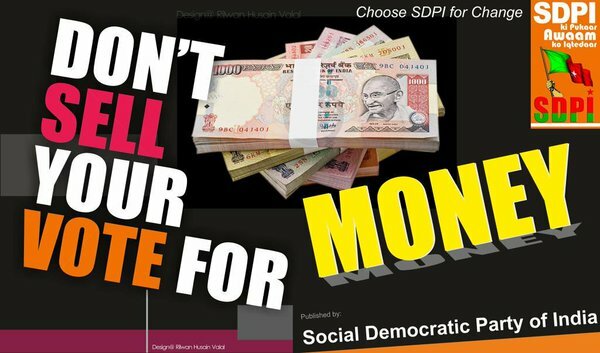 Please don’t sell your vote. Elections present voters with important choices. Whether it is a local race that will affect your community or a national race that could change the direction of the country it is a time to consider the issues which you care about and decide which candidate you support. How do voters go about comparing and then judging candidates? Candidates can be judged in two ways: the positions they take on issues and the leadership qualities and experience they would bring to office. Both are important. Your first step in picking a candidate is to decide the issues you care about and the qualities you want in a leader. When you consider issues, think about community or national problems that you want people in government to address. For example, you may be interested in the threat of nuclear war, government funding for student loans or teenage unemployment. Those are issues. Find Out About The Candidates. Gather materials about the candidates. Learn About The Candidates’ Leadership Abilities. Decide if a candidate will be a good leader is difficult. How can you know if someone will be honest, open or able to act under pressure if elected to office? Here are some ways to read between the lines as you evaluate the candidates’ leadership qualities. Look at the candidates’ background and their experience. How well prepared are they for the job? Observe the candidates’ campaigns. Do they accept speaking engagements before different groups – even those groups that might not be sympathetic? Do they accept invitations to debate? Do the campaigns emphasize media events where the candidates can be seen but not heard? Review the campaign materials. As you read the materials and watch the campaign develop, add to the Candidate Report Card. the information that provides insights into candidates’ personalities and leadership qualities. For example, do campaign materials emphasize issues or just images? Are they accurate? Now that you have accumulated information from campaigns and other sources, you will want to learn what other people think about the candidates. Their opinions can help to clarify your own views, but do not discount you own informed judgments. You may be the most careful observer of all! Learn about endorsements. This is a way for interest groups and organizations to five a “stamp of approval” to a candidate. Endorsements provide clues to the issues a candidate supports. Get a list of endorsements from each candidates’ headquarters. Find out what these groups stand for and find out why they are endorsing this candidate. Look into campaign contributions. Where do the candidates get the funds to finance their campaigns? Do they use their own money or raise funds from a few wealthy donors, from may small contributors, or from Political Action Committees? Many types of information about campaign contributions must be reported to the government and are watched by the press. Throughout the campaign, opinion polls will be taken by a variety of groups to evaluate public support for the different candidates. Polls reveal who is leading at a certain point in the race. As you read the polls, ask these questions: Who sponsored the poll? Were all the figures released? What kinds of questions were asked? Were they slanted or unbiased? Who were respondents selected – randomly or such a way to include all segments of the population? How many people were included in the poll sample? All candidates are trying to sell themselves to voters. Sometimes their language is so skillfully crafted that they distort the truth in way that are difficult for even the most careful observer to detect. Here are some examples of distortion techniques that you should watch for as you review candidates’ campaign materials. List the Leadership Qualities you want and rank the candidates on those qualities.